Development Finance became a bit of a dirty word in the finance fraternity at the time of the financial crisis, although now there are a number of quality lenders coming back into the market. With in-house expertise of over 30 years, we are able to provide a wide range of funding options to enable the development of land for commercial or residential use. The advances can cover anything from 50% to 75% with some lenders up to a maximum of 60% of the Gross Development Value (GDV) for both residential and commercial developments, but the old adage of the higher the loan to value ratio, the higher the cost should be your byword. Facilities generally start from £500k, although lower loans are available, and may require the services of an independent Quantity Surveyor (IQS) and or an Independent Monitoring Surveyor (IMS) who assess costings and monitor building programmes on behalf of the lending institution, with drawdowns at various agreed stages against a mixture of Architects. QS and IMS certificates generally with a 2 – 4 week turnaround. For larger projects, collateral warranties with contractual step in rights may be a term of sanction. If you are not developing the project yourself a Joint Contracts Tribunal Contract (JCT) with the contractor (which again will give the bank step in rights) will generally be required. 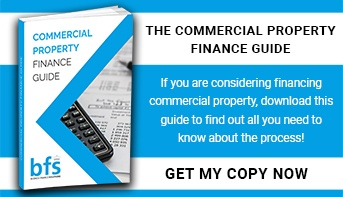 The input of a quality Commercial Property Lawyer cannot be underestimated in the drawing up of all relevant documentation at the outset – these will set out the procedures and remedies that may be available to you should matters go wrong!